The name of this Corporation shall be MONTANA WATER WELL DRILLERS ASSOCIATION, a non-profit corporation. The principal office shall be located at the mailing address of the Executive Secretary or any other place of business as selected by the Board of Directors. The Corporation shall be authorized to transact business from other offices located at such places as the Board of Directors may from time to time determine. The purpose of the Corporation is "To provide a safe, sustainable groundwater resource through education, innovation and responsible development. 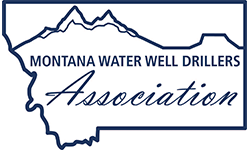 MONTANA WATER WELL DRILLERS ASSOCIATION will operate with members. Any licensed contractor, engaged in the business of water well construction shall be eligible to become a voting member of this Association. Any licensed Water Well Driller employed by a licensed contractor member, any Monitoring Well Constructor, Geothermal Driller, Pump Installer; Any person engaged in hydrology, geology, engineering, teaching, consulting, or research, pertinent to the water well drilling business, having an interest in the purposes and objectives of this Association, shall be eligible to become a voting member of the Association. Any person, firm, or business entity engaged in manufacturing, marketing, or servicing of equipment, materials and supplies used in the water well drilling business; which does no contracting for the drilling of water wells and/or installation and servicing of water pumps, and which: a. is currently an established dealer maintaining a stock of pumps, pump parts and other water handling equipment which are sold regularly to other dealers and/or contractors: or b. is currently engaged in the business of supplying equipment of rigs, or tools or rendering specialized services to the water well industry from an established place of business. Shall be eligible to become voting members of the Association. Dues for membership in the Corporation shall be set by the Board of Directors per fiscal year. Payment of dues is required to qualify a member for voting privileges at the annual meeting following the conclusion of the fiscal year. Section 3.7 Duration of Membership. Membership in this Association may terminate by death, voluntary withdrawal as herein provided, nonpayment of dues, or otherwise in pursuance of these By-Laws. The right of a member to vote and all other rights, privileges, and property shall cease on the terminations of membership. The annual meeting of the members of this Corporation shall be held each year in the month of February at a place to be determined by the Board of Directors, for the purpose of electing replacement Board of Directors, whose terms are expiring, for the ensuing year, and for the transaction of such other business as may come before the meeting. The call for the annual meeting of the members shall be communicated to each member appearing on the books of the Corporation at least fifteen (15) days prior to the annual meeting by ordinary first class mail to his or her last known address, or the address appearing on the books of the Corporation. Notice of the annual meeting may be given to members, likewise, at least fifteen (15) days prior to said meeting by use of Email, social media updates, the use of fax or other such methods to inform the membership. Special meetings of the members other than those provided for herein or regulated by statute may be called by the Board of Directors or shall be called by the President at the request of one-half (1/2) or more of the members of the Corporation, and written notice, or notice provided by email, thereof shall be delivered at least seven (7) days prior to said meeting. Personal notice given to the members of the Corporation shall be considered to be the equivalent to the written notice. The notices of annual and special meetings of the members hereinbefore required to be given by these By-Laws may be waived by the persons entitled thereto either before or after the time therefore. At all meetings of the members, the President, or in his/her absence, the Vice-President, and should both be absent, any person elected by the members of the meeting present, shall preside. The number of Directors shall be eleven, seven from the Contractor membership, two from the Manufacturer and Supplier membership, and two from the Associate membership; in the event the Associate seat is not filled, it will be filled by a Contractor Member. The Directors shall be elected at the annual meeting of the general membership by plurality vote of the members represented in person. The officers of the Association shall be the President, Vice President, Immediate Past President, Secretary/Treasurer. These officers shall serve as directors for the entire term of their office. A. Seven (7) additional directors elected from the active members. C. An executive director who shall be selected by the Board and hired by the Association. The executive director shall serve as the chief executive officer of the Association, be a non-voting member of the Board of Directors, and perform the duties and such other duties as may be assigned by the President. D. Each year the general membership shall elect a new Secretary/Treasurer from any Director ending their current tenure and wishing to run for Secretary/Treasurer. Board Representatives from the Manufacturer and Suppliers are eligible for this position or any position that allows for succession. The present Secretary/Treasurer shall become the Vice-President, and the Vice-President shall become the President, the President shall become the Immediate Past President and the Immediate Past President shall no longer be an officer of the Association. This succession procedure shall be automatic. E. The term of each officer shall be one (1) year and the terms begin immediately following the election meeting, and shall serve until their successor has been duly elected and qualified. Upon completion of the line of succession the individual may not be elected as a director again until at least one (1) year has passed. F. Vacancies in any of the officer positions shall be filled by moving each of the lower office-holders up one (1) step and then a new Secretary/Treasurer shall be elected by the Board of Directors. The corporate powers of this Corporation shall be vested in, and the general management and control of the business and affairs of the Corporation shall be exercised by, the Board of Directors in a manner that is not inconsistent with the laws of the State of Montana, with the Certificate of Incorporation of this Corporation, and these By-Laws. A majority of the Board of Directors shall be sufficient to take any action requiring a vote and shall constitute a quorum for the transaction of business at any meeting of the Board of Directors. Section 5.3 Vacancies on the Board. Vacancies in the Board of Directors by reason of death, disability, resignation or other causes shall be filled by the remaining Directors and appointed from among the members to fill the unexpired term. Officers, directors and members of any duly constituted committee shall be indemnified by the association for any personal liability arising out of or in connection with his or her duties as an officer, director, or committee member. The Association shall also defend any claim or action at law which may be asserted against an officer, director, or committee member whether as an individual or otherwise, arising out of or in connection with his or her duties as an officer, director, or committee member. The indemnity stated in this section shall not apply to a claim or action arising out of the operation of a motor vehicle. e. Representing the BOD without full BOD knowledge in any matter. f. Failure of maintaining standards laid out in the signed Ethics, Conflict of Interest or Whistleblower documents. The annual meeting of the Board of Directors shall be held immediately following the annual meeting of the members at the principal office of the Corporation or at such other place as the Board of Directors may from time to time designate, and for the transaction of such other business as may come before the meeting. Notice of such meetings shall not be required. Special meetings of the Board of Directors may be called by or the President, or a majority of the Board of Directors, and shall be held at the principal office of the Corporation or at such other place as the Board of Directors may determine with notice as required below. Notice of any special meeting of the Board of Directors shall be given at least seven (7) days prior to the date of the special meeting. Notice shall be given in writing and delivered personally or sent by mail and or email to each Director at his address as shown by the records of the Corporation. If personal notice is given to said directors of said meeting, it shall be equivalent to mailing the same. Any Director may waive notice of any meeting whether before or after the time therefore. At all meetings of the Board of Directors, the President of the Corporation shall preside and shall act as Chairman of the Meeting, and if he/she be absent from the meeting, the Vice-President shall preside. Section 6.5. Quorum and Voting. A majority of the Board of Directors shall constitute a quorum for the transaction of business at any meeting of the Board of Directors. The presiding officer shall refrain from voting. However, in the event of a tie vote, said presiding officer shall be authorized to vote on the matter and their vote shall break the tie. Actions of the Board shall be taken by a majority of the Board Members present at any annual or special meeting. The officers of this Corporation shall be a President, Vice-President, Immediate Past President and Secretary/Treasurer, and such other officers as the Board of Directors may, from time to time, designate or appoint. Officer eligibility of the Association shall be from any member of the Board of Directors who have been duly qualified as a paid member in good standing, and has been a director for at least one qualifying term. Any officer elected or appointed by the Board of Directors may be removed by the Board of Directors whenever, in its judgment, the best interests of the Corporation would thereby be served. A vacancy in any office because of death, resignation, removal, disqualification or otherwise, may be filled by the Board of Directors for the unexpired portion of the term. The President shall be a elected at the annual meeting of the Board from among the members of the Board of Directors. The President shall be the principal executive officer of the Corporation, subject to the control of the Board of Directors, and shall, in general, supervise and control all of the business and affairs of the Corporation. They shall, when present, preside at all meetings of the Board of Directors. They may sign, with the Secretary or any other proper officer of the Corporation authorized by the Board of Directors, certificates for membership of the Corporation, checks, drafts or other orders for the payment of money, or any other legal documents which the Board of Directors has authorized to be executed, except in cases where execution thereof shall be expressly delegated by the Board of Directors or by these By-Laws to some other officer or agent. The Vice-President shall, in the absence of the President, perform the duties of that office, and such other duties as may be assigned to him by the Board of Directors. The Secretary/Treasurer has the following duties with the assistance of the Executive Secretary: The Secretary/Treasurer shall keep the minutes of the Board of Directors' meetings in one or more books provided for that purpose; see that all notices are duly given in accordance with the provisions of these By-Laws; be custodian of the corporate records; keep a register of the post office address of each member of the Board of Directors; to sign, with the President, certificates for membership of the Corporation, any deeds, mortgages, bonds, contracts or other instruments which the Board of Directors has authorized to be executed, except in cases where the signing and execution thereof shall be expressly delegated by the Board of Directors to some other officer or agent; and such other duties as from time to time may be assigned to him or her by the President or by the Board of Directors. The Secretary/Treasurer shall be responsible the funds and securities of the Corporation, for all deposits and monies due and payable to the Corporation, the deposit of said monies in such banks or depositories as shall be selected by the Board of Directors. The Secretary/Treasurer shall prepare and issue all financial reports to the members and the Board as directed by the Board of Directors. The Board of Directors shall have the authority, by a majority vote, to appoint an Executive Secretary who shall not be a voting member. It shall be the duty of the Board of Directors to maintain oversight and review the discharge of the responsibilities of the Executive Secretary in assisting the Secretary/Treasurer in his/her duties as set forth in the following Section 7.7 above. Compensation for the office of Executive Secretary shall be set by the Board of Directors from time to time. The Executive Secretary shall comply with the provisions of Article IX, Section 9.2 and 9.3 by assisting the Secretary/Treasurer in preparing deposits and checks subject to the authorization requirements of those sections, and shall report to the Board of Directors on a monthly basis the financial status of the Corporation and with such frequency as may be required by the Board concerning all financial transactions of the Corporation. The remaining officers, if any, shall have such powers and perform such duties as may from time to time be specified by the Board of Directors. Vacancies in the office of President and/or Vice-President by reason of death, disability, resignation or other causes, shall be filled by the Directors appointing from among the Directors a successor or successors to hold office for the unexpired term thereof. The Board of Directors may designate one or more committees or authorize any one or more individuals for the purpose of accomplishing any goal or objective of the Corporation. Such individual or committee may be appointed from the membership and any Director of the Corporation may be appointed to head any committee designated. The Board of Directors may authorize any officer or officers, any agent or agents of the Corporation to enter into any contracts or execute and deliver any instrument in the name of and on behalf of the Corporation. The Executive Secretary shall be authorized to issue checks, drafts, or orders for payment of valid obligations of the Corporation, subject to advance written authorization of the President or Vice President. Such authorization may be conveyed by letter, facsimile, or email and a copy shall be retained in the records of the Corporation. Section 9.3. Security of Funds. All funds of the Corporation shall be deposited from time to time to the credit of the Corporation in such bank(s), trust company(ies), or other depositories as the Board of Directors may select. Section 9.4. Contributions, Gifts and Bequests. The Board of Directors may accept on behalf of the Corporation any contribution, gift, bequest, or devise for any purpose of the Corporation. Section 9.5. Compensation of Directors and Officers. A Director and/or officer, excluding the Executive Director/Secretary, shall not be paid for any time, effort, counsel, advice or labor given to or on behalf of the Corporation. In the event that a Director and/or officer should in the course of working on behalf of the Corporation incur a necessary operational or administrative expense, that individual may request reimbursement. If such expense is deemed by the Board of Directors to be a necessary operational or administrative expense, then that expense shall be reimbursed to the individual. The Corporation shall keep a complete and correct set of books and records of the Corporation and shall keep minutes of the meetings of the Board of Directors. Such records shall be kept at the Corporation's principal place of business. The accounting year of the Corporation shall be a fiscal year from January 1st to December 31st. The Members, at any regular or special meeting, are authorized and shall have the power and authority to make and adopt, and to amend, supplement, and repeal, the By-Laws of this Corporation by affirmative vote at any annual or special meeting of the Members by two-thirds of the votes cast. Any proposed amendment to the By-Laws of this Corporation shall be communicated to all Members via the U.S. Mail and or email, no later than ten (10) days prior to the action on that amendment. In the event of dissolution of the Corporation, after paying and making provisions for the payment of all liabilities of the Corporation, assets shall be distributed for one or more of the exempt purposes within the meaning of Section 501(c)(6) of the Internal Revenue Code, or the corresponding section of any future United States Internal Revenue Code, or shall be distributed to the Federal Government, or to a State or local government for a public purpose. Any such assets not so disposed of shall be disposed of by a Court of competent jurisdiction of the County in which the principal office of the Corporation is then located, exclusively for such purposes or to such organization or organizations, as said Court shall determine which are organized and operated exclusively for such purposes. I, being the undersigned, Secretary/Treasurer of the MONTANA WATER WELL DRILLERS ASSOCIATION, present at the meeting held on the _6th_ day of February, 2014, do hereby certify that the foregoing Amended By-Laws of this Corporation were ratified and adopted for the guidance of the Corporation in the regulation of its business by the members of the MONTANA WATER WELL DRILLERS ASSOCIATION this date. DATED at this _6th__ day of February, 2014. 2. Section 3.5 Affiliate: The language defining this membership option was changed to the following: Any person legitimately employed by a contractor member, any such other person having an interest in the ground water industry and in the purposes and objectives of this Association shall be eligible to become a non-voting member of the Association. 3. Section 3.6 Application: This section was stricken from the by-Laws. 4. Article IV, Section 4.2: The following language was added to this section in order to bring the method of notification standards up-to-date: Personal Notice of the annual meeting may be given to members, likewise, at least fifteen (15) days prior to said meeting by use of Email, social media updates, the use of fax or other such methods to inform the membership. 5. Article V, Section 5.1 Number: The number of directors was changed from six to seven Contractors and from one to two Associate members. This changed the total number of board members from nine to eleven. 9. Article XI Fiscal Year: The dates were corrected to reflect the accurate fiscal year of the MWWDA, from May 1st to April 31st (these are/were incorrect) to the correct dates of January 1st to December 31st. 1. Article II, section 2.1 Purpose: The following language was removed: "to maintain and operate a trade association for the benefit of its members engaged in the digging, drilling and preparation of wells and the equipment thereof; to conduct scientific inquiry and research; to collect, collate and disseminate to members of the association any scientific, educational or general trade information regarding the subject of well drilling and the sanitary aspects thereof; to collect and disseminate information of benefit to the general public; to propose, have drawn and to introduce any legislation seeking to regulate the drilling of wells and the sanitation aspects therein involved; to promote economy and efficiency in the industry; to engage in all other lawful activities of a general nature calculated to promote, advance and further the general welfare and interests of members of the association. To purchase, acquire, own, hold, sell, assign, transfer, lease, mortgage, pledge or convey real and personal property consistent with purposes of this corporation. To engage in any lawful business incidental to or of a similar nature to the foregoing, providing same is consistent with the purposes of this corporation. 2. Article III Membership, Section 3.5 – Affiliate. The following section was stricken from the By-Laws: Section 3.5 Affiliate: Any person legitimately employed by a contractor member, any such other person having an interest in the ground water industry and in the purposes and objectives of this Association shall be eligible to become a non-voting member of the Association. 3. Article III Membership, Section 3.6 – Voting. The following was stricken from the By-Laws: . Each Affiliate member of record shall not be entitled to vote at corporation meetings. 4. Article IV Meeting of Members, Section 4.6. The following was stricken from the By-Laws: . Members may be represented at said meetings by proxy. The written proxy shall be delivered to the Secretary in advance of the meeting and shall be in such form as will reasonably assure the Corporation that the proxy is acting by the authority of his principle. The officers of the Association shall be the President, Vice President, Immediate Past President, Secretary/Treasurer. These officers shall serve as directors for the entire term of their office. a. Section 7.2 Officer Eligibility The following was added and removed (shown in strikethrough) The officers of the Association shall be exclusively from the Contractor membership. The Manufacturer and Supplier and the Associate Board Members shall not be eligible to be an officer of the Association. Officer eligibility of the Association shall be from any member of the Board of Directors who have been duly qualified as a paid member in good standing, and has been a director for at least one qualifying term. Section 7.3. Election and Term of Office. The officers of the Corporation shall be elected annually by the Board of Directors at the annual meeting of the Board. Each officer shall hold office until his or her successor shall have been duly elected or until the officer's death, resignation, or removal in the manner hereinafter provided. 7. Additional changed made to this document included inclusive gender language, and updates to the manner of acceptable communication of Association business, i.e., email etc.